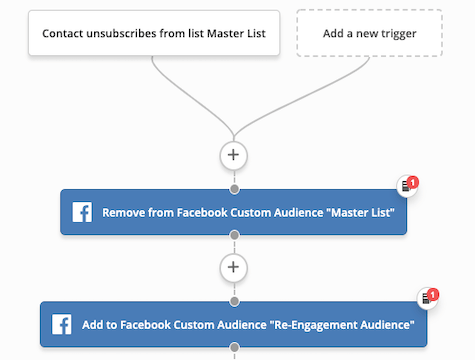 When a contact unsubscribes from a list, remove them from the appropriate Facebook Custom Audience. The contact is then added to a winback audience, if you have one set up. Set up your Facebook integration before importing.